Entrance into the vehicle is comprised of 2 steps outside (not shown) and 2 steps inside. Carpet treads are removable for cleaning and a night light is included. The entrance door has a screen door on the inside. 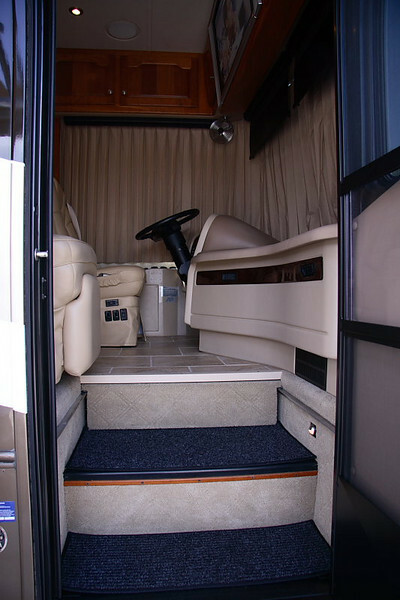 An automatic floor slide covers the stairs so the passenger has a place to put their feet during travel.